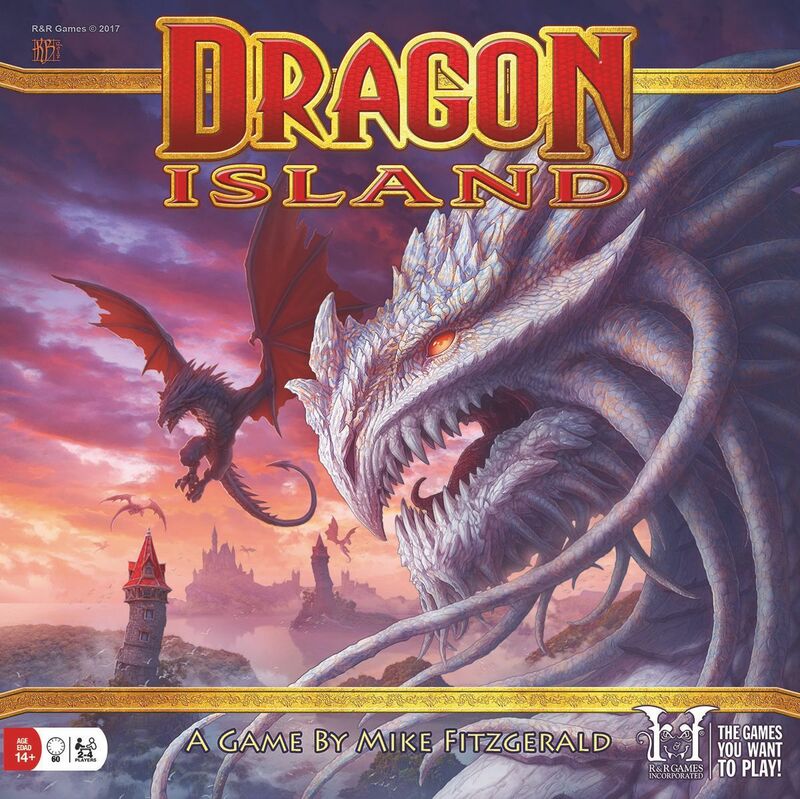 In Dragon Island, you and up to three other players take on the role of wizards cast away onto a seemingly deserted island. Players compete throughout their journey to gain as much treasure as possible, building up the island tile by double-sided tile. Discover exotic terrains, build special structures, manage your magical energy, and tame dragons! Once the entire island has been discovered, your quest is over, and whoever has accumulated the most treasure wins!